Im crazy about this film and lately I've been in the mood to rent it again. Picnic at Hanging Rock, directed by Peter Weir, is based on the novel of the same title and tells of the mysterious disappearance of a group of Australian schoolgirls in 1900. The girls completely vanish while hiking on a day trip to a rock formation in the Australian bush. 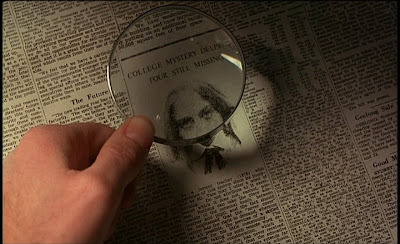 Weir's film is famous for its unresolved ending and the eerie undercurrents that run throughout. The cinematography is quite beautiful. I can't help but think Sofia Coppola must have seen the film because I think there's a strong influence in The Virgin Suicides. The girls loll about in white dresses looking beautiful and serene, but there is an underlying tension lurking beneath the surface. "The contrast between transplanted English tradition with the ancient, spiritual wilderness of Australia permeates the film" (explained in Wikipedia--spot on).